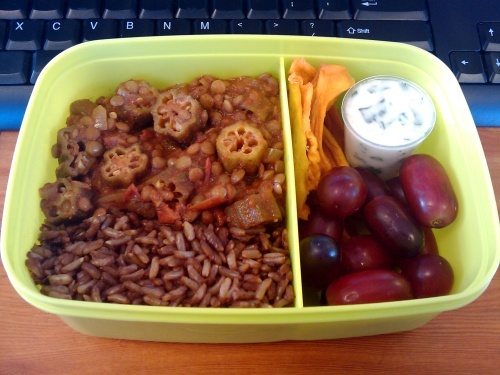 lentils Archives - Wots For Lunch? 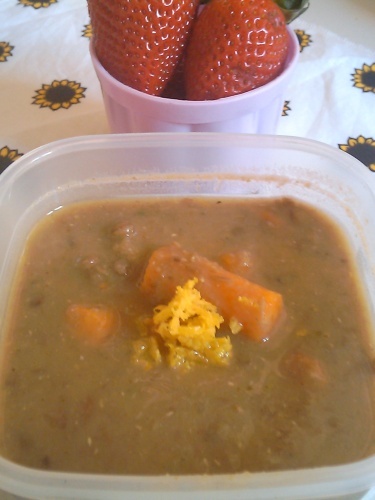 This lentil soup makes for a great midday meal. A sweet spicy twist comes from the addition of carrots roasted with lemon, cumin and a touch of cayenne pepper. It’s not going to win any beauty prizes but sure does deliver on the flavour front. I often see okra in my local Checkers but, not knowing how to cook it and having read tales of how slimy it can be, have usually avoided buying it. After a little internet research I discovered cooking okra with tomatoes reduces the slime factor. With this knowledge I took the plunge, bought some okra and devised this lentil and okra curry. 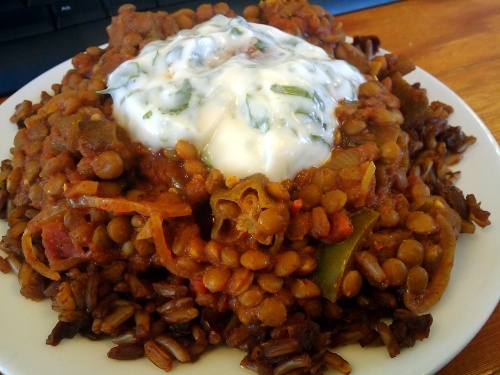 Here is my recipe for Lentil and Okra Curry. Cover lentils with water and leave to soak (overnight is best, but I only soaked them for four hours and this was sufficient). Fry onions and garlic in olive oil till the onions are translucent. Add curry powder and stir to coat. Add lentils, chopped tomatoes, tomato puree and water and leave to cook for 15 minutes. Add okra and green pepper then cook for a further 5 minutes. Service over rice with coriander yoghurt.